A citizen science initiative reveals new insights about the spread of tick-borne infections. CDC/ James Gathany; William L. Nicholson, Ph.D.
(Inside Science) -- Few scientists anticipate receiving bloodsucking arthropods by post. But for a research group interested in learning more about human-tick encounters, expectations ran high. They hoped to receive 2,400 ticks in the mail. But people from around the United States sent 16,080. The insect deliveries were part of an initiative that asked citizen scientists to mail ticks removed from humans, dogs, cats, livestock and even wildlife. The results, published today in PLOS ONE, help fill an important gap in what scientists know about Lyme disease and other tick-borne diseases, which afflict some 300,000 Americans annually. 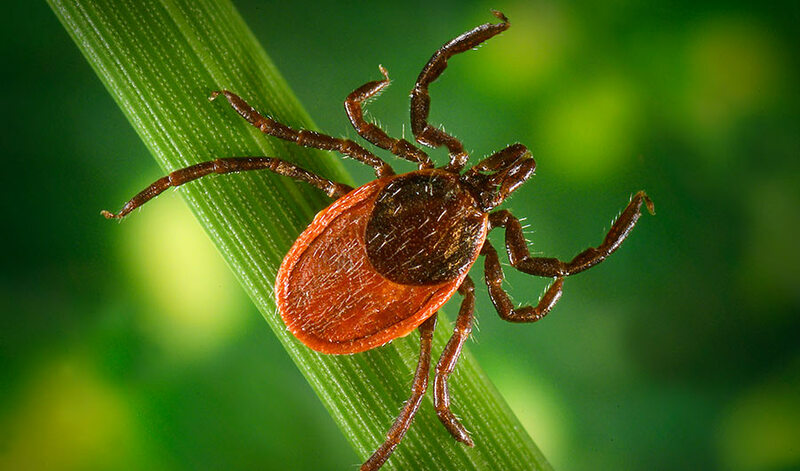 Although scientists have decent information about how many tick-related diseases occur each year and in what part of the country clinicians and doctors report people getting sick, they don't have good data on where and when people come upon ticks. To find out, microbiologist Nathan Nieto of Northern Arizona University in Flagstaff and his colleagues partnered with the Bay Area Lyme Foundation to develop the mail-in program, along with a form that detailed the date the tick was found, the location, the habitat type, the host type and the activity. Using DNA analysis, the researchers discovered a total of 13 species. People had sent ticks from Puerto Rico and every U.S. state except Alaska, corroborating what researchers knew about where ticks are most common. But the data also provided new insights. For instance, people encountered ticks capable of carrying Lyme disease and other tick-borne pathogens in 83 counties where these illnesses have not been reported. Babesia microti, which produces malarialike symptoms, was found in several states where the disease has not yet shown up. The scientists caution that human error could influence the results. It’s possible, for instance, that a person who discovered a tick on their body in one county could have carried it over from another county. But the prospect of gathering such detailed information by snail mail from so many willing participants bodes well for future tick disease studies.